Whether for reading glasses or sunglasses, this is the perfect place for your glasses. This case made from chemically tanned cow's leather is sturdy yet stylish, made for everyday use. Not just practical, this leather accessory adds a little style to your life. With a pop closure to make sure your glasses don't fall out, this product is perfect for your backpack, handbag or suitcase. I'm very happy with this glasses case. 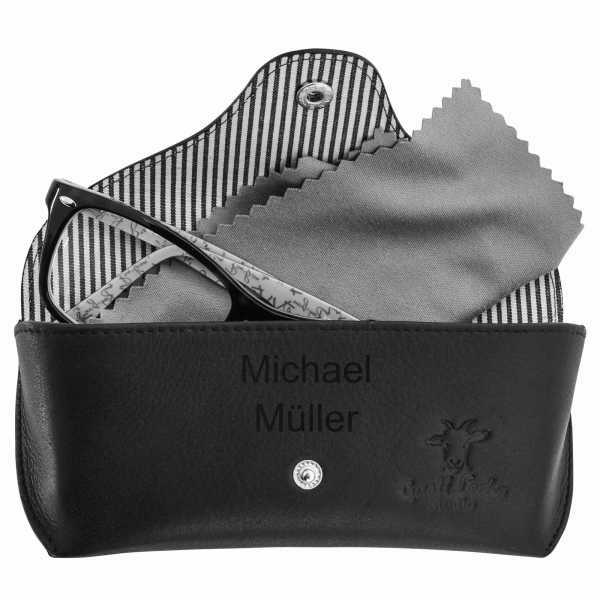 It is very well made, looks great and does a good job of protecting my glasses when they are in my jacket pocket. The price was very reasonable, and the item was delivered quite quickly. It also included a free leather strap for a headphone cable, which has proven very useful. 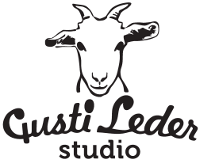 I would recommend this glasses case, and I would certainly buy from Gusti Leather again. Ich habe nach einen etwas größeren Brillenetui für meine doch eher sperrige Sonnenbrille gesucht und bin mit diesem Modell fündig geworden. Das Etui sieht sehr schick aus und ist stabil. Zudem ist es auch leicht zu öffnen, was mir sehr wichtig ist, da ich die Sonnenbrille oft mein Autofahren anziehe und nur eine Hand frei habe. Wirklich super Produkt für kleines Geld.